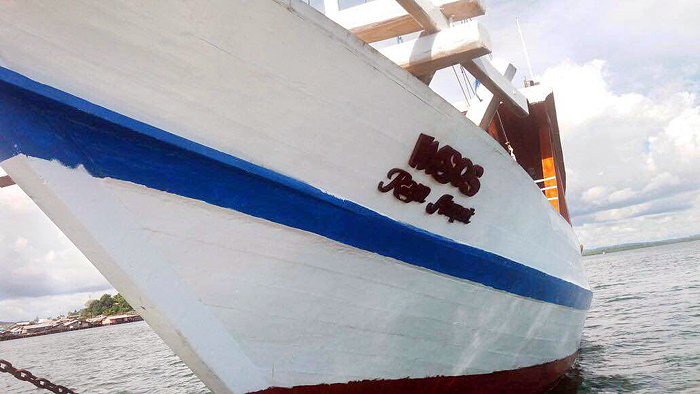 The KLM Insos Raja Ampat is the first locally owned and operated Raja Ampat liveaboard dive boat. Excellent value, operates year round, snorkelers welcome. 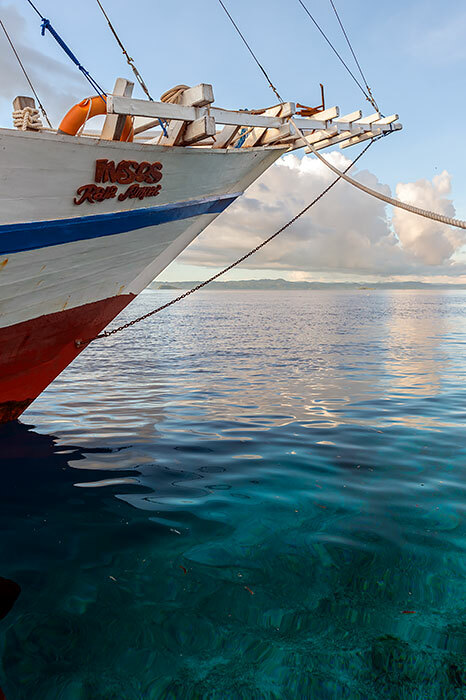 The KLM Insos Raja Ampat liveaboard is the first Raja Ampat dive yacht to be locally owned and operated. 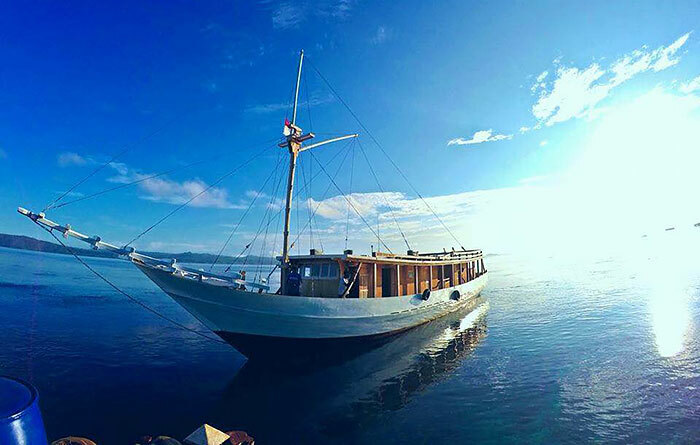 She was also the first Raja Ampat liveaboard to be permanently based in the islands and offer trips throughout the year. 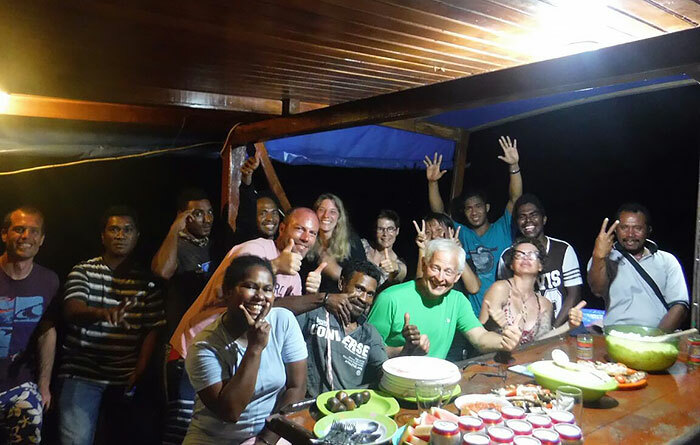 The Insos is based in Waisai, and liveaboard trips visit Wayag, Misool and all the Dampier Strait highlights. Both diving and snorkelling trips are offered and private charters can be arranged. 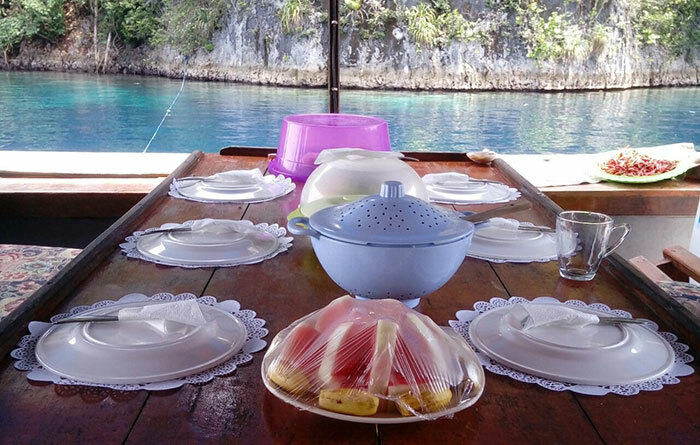 Insos Raja Ampat has airconditioned cabins and can accommodate up to 10 people for a fabulous small group experience. 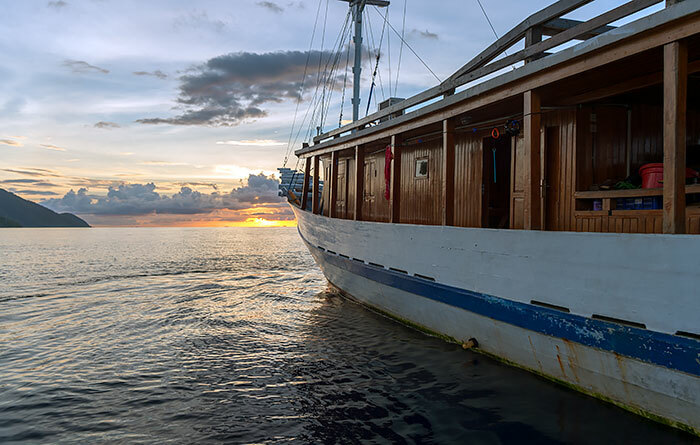 Equipped with two bathrooms, a galley and dining area, an upper deck relaxation area and separate crew quarters, Insos Raja Ampat has full diving equipment, emergency oxygen supplies and all dive guides are certified Rescue Divers with a wealth of knowledge of local conditions. 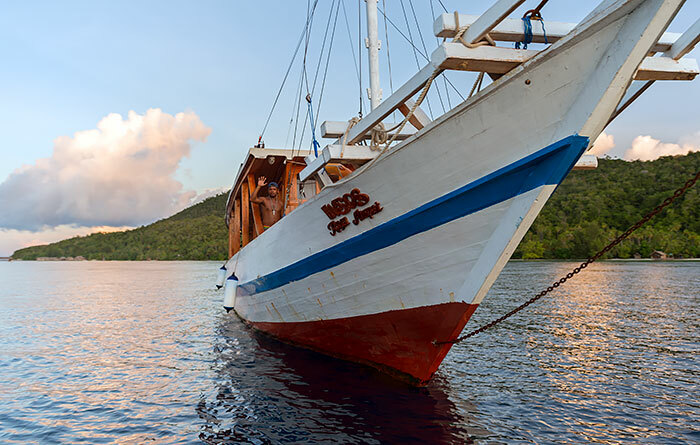 The KLM Insos Raja Ampat liveaboard is the next step in the development of Grace Sauyai’s family business which began with the establishment of Yenkoranu Homestay in 2011. 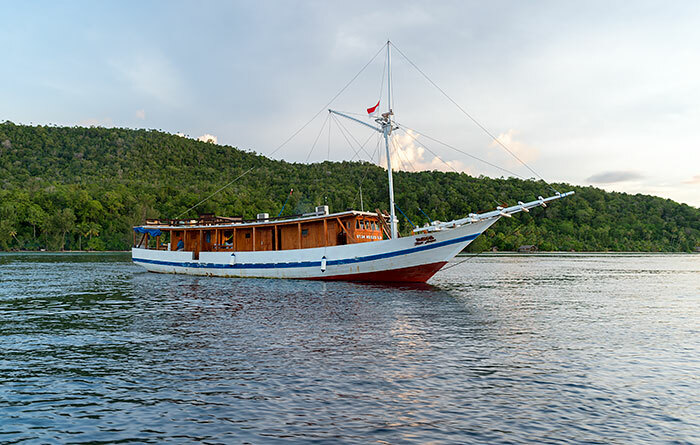 Grace’s motivation and vision for the future of the island communities of Raja Ampat is reflected in the choice of name for Yenkoranu’s new liveaboard boat: Insos Raja Ampat means “Woman of Raja Ampat” in the local Betew language. Please direct all booking enquiries or requests for further information to the contact details provided below. All trips depart from and return to Waisai. Here is how to get to Waisai. 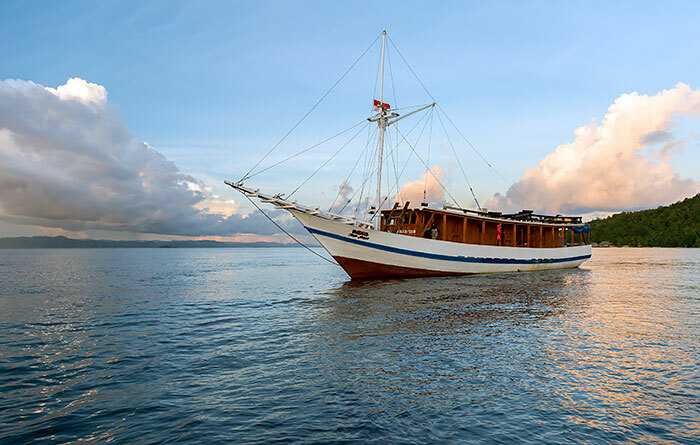 Insos Raja Ampat is the liveaboard for whatever you want to do: Diving, snorkeling or just taking a relaxing cruise. Do you recommend contacting them in English or should we use google translate for the text of our email? Any idea how often trips get cancelled for lack of passengers? English is fine KC, but keep sentences short and simple for clarity. We have been contacted by folks seeking refunds for, or advising us of, cancelled trips. If it’s safe to assume that at least one person from every cancelled trip contacts us, then trips are very rarely cancelled, but we have no way of knowing for certain. 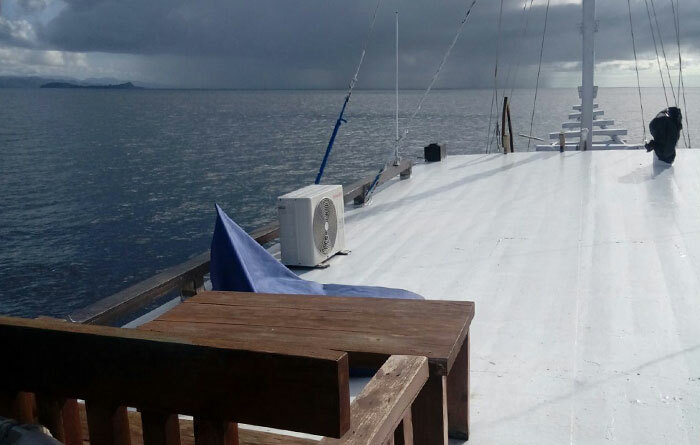 I saw you have a 3/2 days liveaboard to Wayag on 14 November. I am interested in it. I am a solo traveler. I really enjoy this trip in Wayag for 8 days in last january. It was a great experience to spend this days on this beautiful boat. 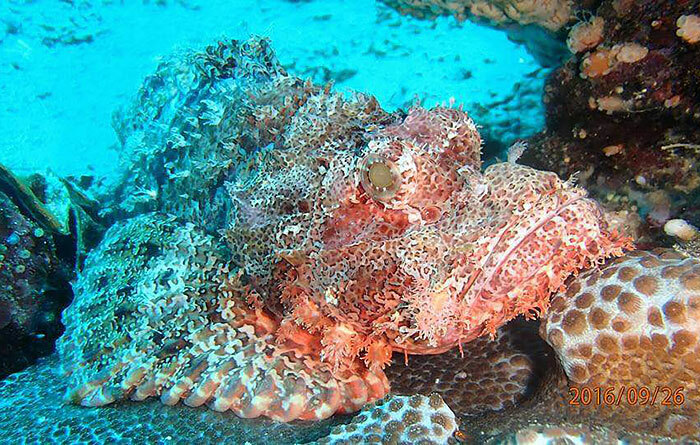 Diving in Raja Ampat is like in a dream and wayag is…..AWESOME. 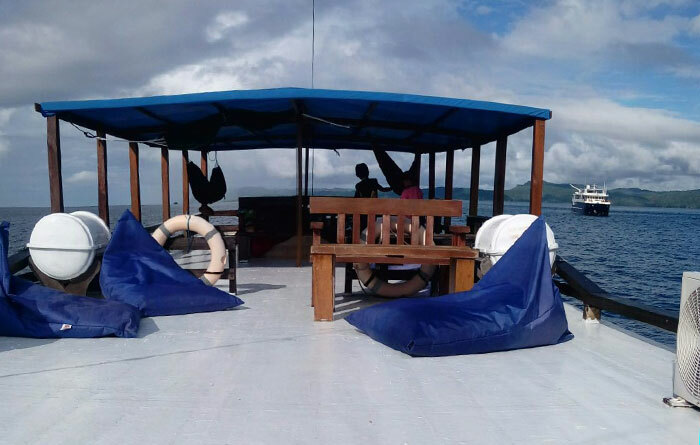 We had different and amazing dive with majestic Mantas( thanks to Benny , the dive guide).The sheddule of Insos is perfect for this experience. The crew is really friendly and helped everytime, big thanks to them!!!! Delicious food and tasty!!! I will recommend insos for sure.Thanks to all the team and I hope the best for you!!!! A little bit disappointed because the trip was canceled 5 days before to go! We were almost 8 people interested, but the informations was really bad and other people canceled because one week before to go we didn’t know if the trip will run or not. Thank you for your BAD respond. 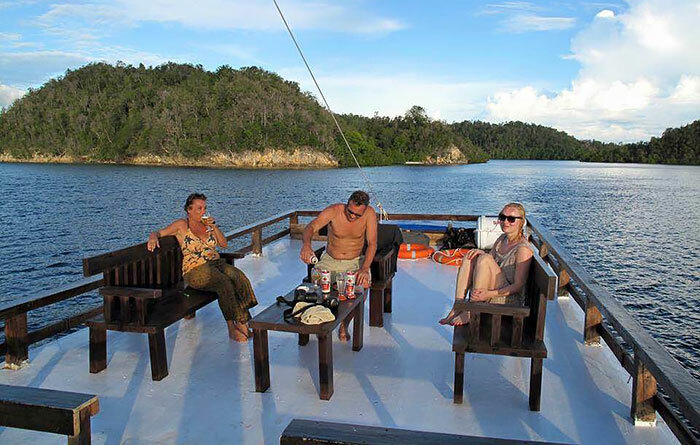 For your information, the cancelled is NOT 100% from Insos Raja Ampat Liveaboard but from the guests!!!! They (another guests) cancelled it by themselves not because we had bad information and/or organisation, but they’ve them own reason! I have 4 pax snorkeler want to visit Raja Ampat on July and they need more info. I sent you an email and try to send you WA message. We (young couple) enjoyed with 4 other nice passanger an amazing trip to Wayag! Diving was great, with proper breaving and safe guidimg (from the diveguide) Oni! Always felt safe and enjoyed amounts of small stuff but also big things as mantas! Food was delicious, varied at every meal and the crew just helped in every belonging they could! They were happy all the time and laughing all the time, eventhough they worked very hard! The rooms were small and since a few weeks accomodate 4 beds. 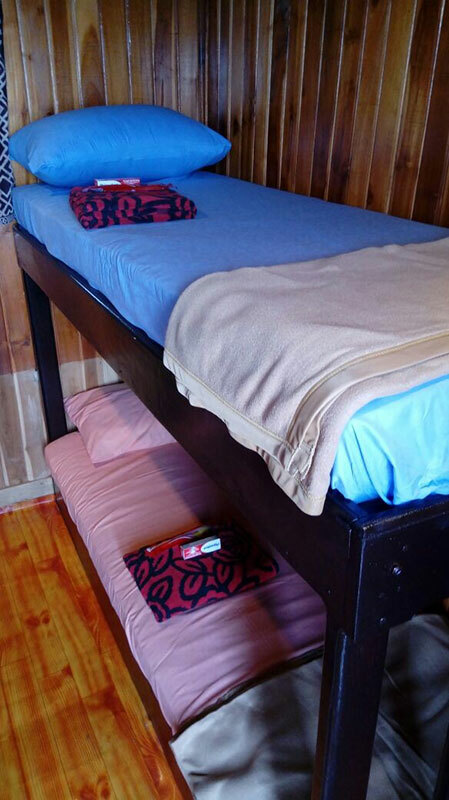 We still were just two people per room, which was fine, so we could put the luggage on the upper beds. 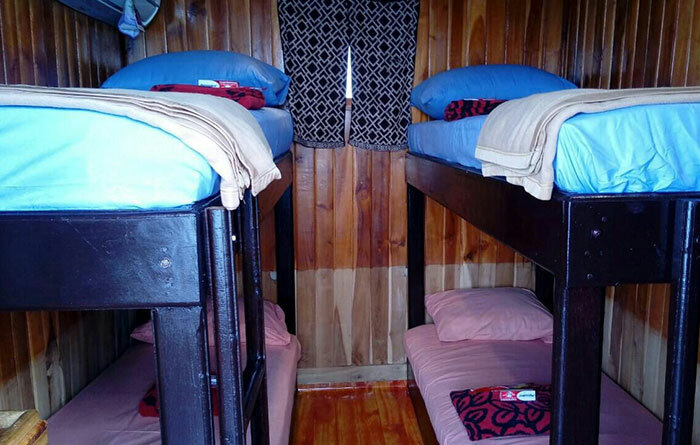 We could not imagine how 4 people fit in a room like this, but as we payed for 2 per room, the manager Serita kept it like that. A big thank you to all the team for this amazing trip, we totally enjoyed it and would recommand it to everybody!! Hello, I am interested in your trip from 15-22 February . I am not an exp. 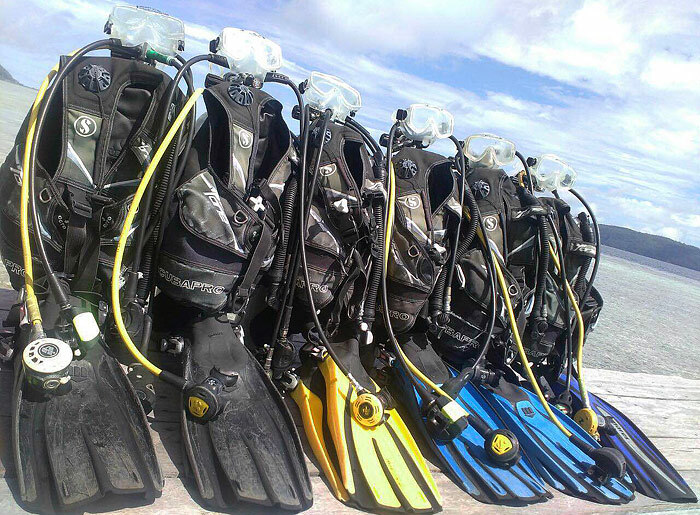 diver, have my open water since last year ( and aprox 11 dives, mostly during a live aboard in Mergui Archipelago) Do I have enough exp. to go with a group? 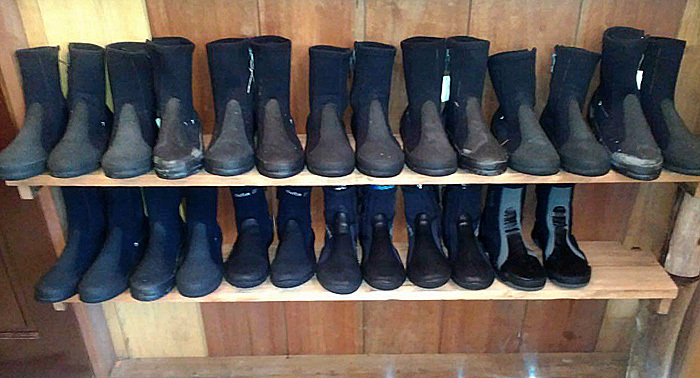 How many dives per day?And do you still have vacancy? Please read the information on the page before asking questions here folks. For more information about trip next February. 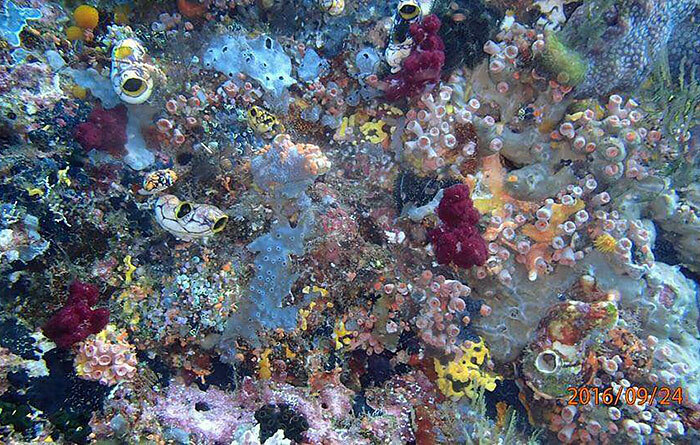 Hello Yvonne- We are 2 non-divers booked on the Feb 15-22 (8d/7n) trip. There are apparently 2 others also booked (I do not know if they are divers or snorkelers) and he is looking for 4 more before the trip will go, if you are interested please contact him (Serita, I think is his name) by the email or Whatsapp # (best way) above. we are two divers and we would be interested for the trip 15-22 of February ! I send you a message on WA . Hope the trip is still avilable. 3day/2 night No diving trip Wayag . I can not find the price on your 2018 trip schedules for this trip . Please let me know . The price for that trip hasn’t been provided to us yet. Like it says in red on the page: Please direct all booking enquiries or requests for further information to Insos via one of the methods provided above. Hello Linda and Eve- We are 2 non-divers booked on the Feb 15-22 (8d/7n) trip. There are apparently 2 others also booked and he is looking for 4 more before the trip will go, if you are interested please contact him (Serita, I think is his name) by the email or Whatsapp # (best) above if you can do more than 3d/2n. 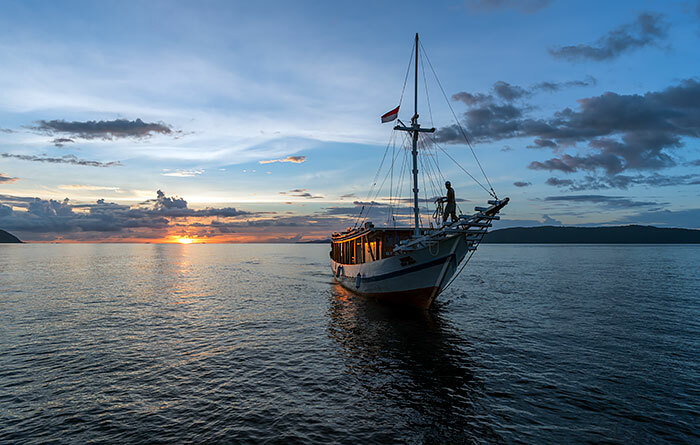 We are contemplating a trip to Raja Ampat in May and interested in booking an 8 day adventure to Wayag on the Insos Liveaboard on the May 24-31- for two. My boyfriend and I are beginner divers (he has logged 13 dives and I just hit 20) is there an available cabin on the Insos for that trip? And if we are the only ones that would like to go on those dates, do I need to try to put the word out there to get others “on board” (so to speak:) ? You’ll need to contact Insos’ operators directly to check availability. Their trips are usually well patronised as far as we know, but if you find they don’t yet have anyone else booked for the trip you want, then putting the word out is a good idea! 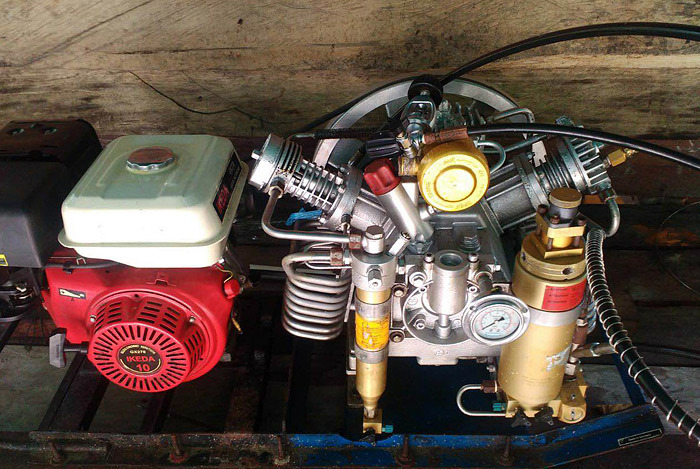 We are 2 pax wanting to do the Wayag Dive boat 2-9 April. I am a fun diver, my friend is a tec diver. Anyone else around to join the trip? Thank you so much to the whole crew. It was amazing ! We are a group of 2 (possibly 3) interested in doing the 3D2N Wayag tour (without diving, sightseeing and snorkeling only) of 27 to 29 Jan 2018, anyone else interested? To increase your chances of finding travelling companions, you’re welcome to also post this request over on our facebook page. hey, we are interested as well…are you stil planning to do so? Is anyone else interested in going on the 27th Nov – 4th Dec liveaboard trip? We need a min of 4 people, so another 3 would be great! As shown above, Insos doesn’t have a Misool trip scheduled in December 2017. Insos’ next Misool trip is as shown on the linked 2018 schedule: Feb 1-10. For enquiries about availability or anything else not mentioned above, you need to contact the operators of Insos. 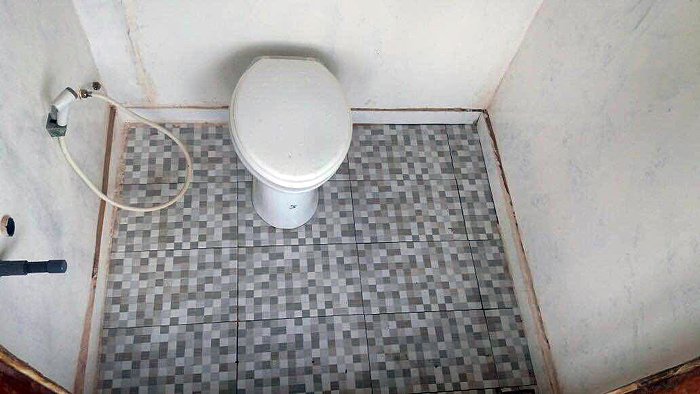 Their contacts are also provided above. Are you by any chance interested in going from Nov 27th – 4th Dec? If we have enough people Grace is happy to go :). Can you say me what its happens ? I arrive the 13 october…. Hi Cathy. We’re not based in Raja Ampat, so don’t know what the problem might be, but it’s possible Grace is in an area without telecommunications. Suggest you also try Insos’s email and facebook page as well. There are more contacts for Grace on Yenkoranu’s page, and here is her personal facebook page. We haven’t been provided Insos’ 2018 schedule yet. Suggest contacting Grace to ask if one has been set. we (2 persons – 1 diver, 1 snorkeler) want to go with Insos from January 17 to January 24. They have scheduled a trip. Just got the answer from Serita. But they need 4 more persons. If you are interested email them. yes, we booked. If I understand correctly there will be 5 persons in total for the trip starting January 17th. 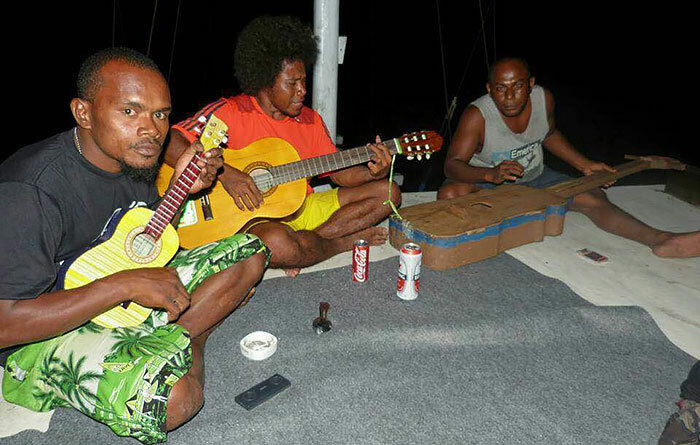 By the way, the boat will leave from Waisai now not from Sorong. 2018 trip schedule now available Alex. See it here. Hi! We have sent Grace an email about a trip in november/december but didnt get an answer yet unfortunately. Is there another way to contact her? Looking forward to hear from you! Sorry, but the contact details above are the only ones we’ve been provided. All we can suggest is to keep trying! we are looking for a non dive live aboard tour. so snorkelling and trips ashore like birdwatching and trekking. is this the complete opposite of what you do? or can we integrate with the dives etc an just do our own thing when others are going diving? I assume some sites are good for snorkeling too, but others probably not. We just prefer a nicer boat! so can you say if this is possible, for around the date – we are flexible (from 22 April until5 May) and 7/8D6/7N and what is the cost per person? so no diving but maybe some use of your tender for excursions? 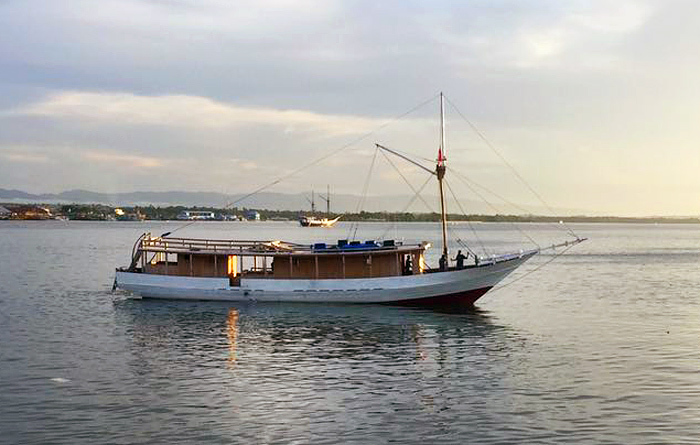 The Insos does make time for sightseeing at some places (Wayag for example), but is primarily a dive boat. Many of the sites it visits would also provide good snorkelling too, but if you want a lot of land based activity you might be better off with Deni’s itinerary. 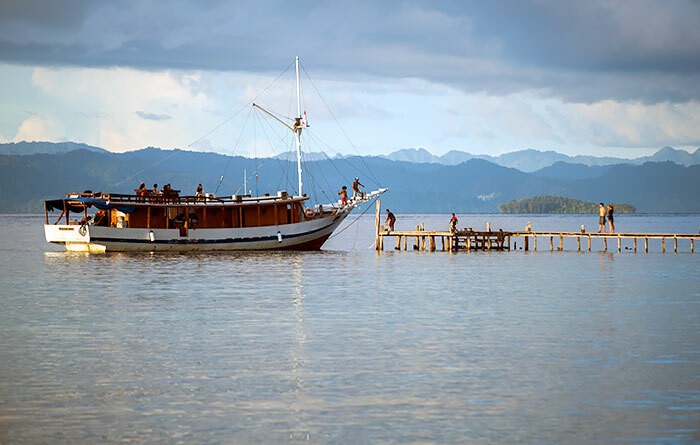 Costs are shown at the top of this page, and please note that Stay Raja Ampat isn’t the operator of Insos – you need to direct all enquiries to the contact details provided above. Hello, this looks amazing, I am very much interested from December 26th -31st . Two persons sharing – snorkeling maybe diving. Call/SMS or email Grace via the contacts provided above for more info. Hi, anybody want to me to go Insos Liveabord on 16 – 22 December 2016? I don’t understand the pricing, is 17.500.000 IDR per night on the boat or for the whole trip? The prices are per person per trip Josephine. seriously ?? what is this , luxury trip ? Please, the price for divers are per night (5.000.000 x 6) or days (5.000.000 x 7) ? 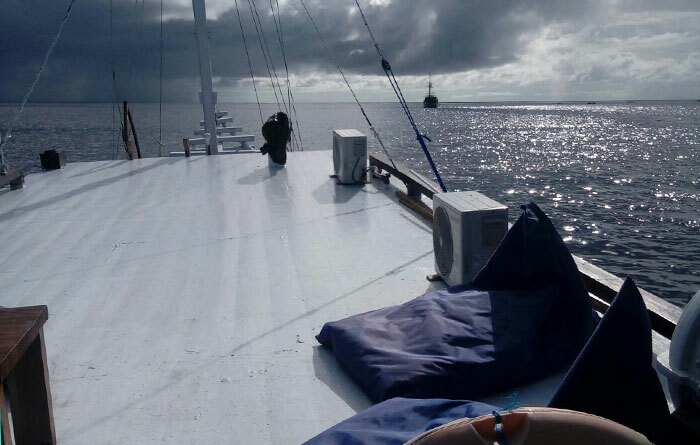 Thank you, do you think is it possible at the end to stop at Wasai or Kri, if we want to stay more time at Raja ampat after the cruise ? We haven’t been provided the itineraries yet Catherine, but imagine that that would be possible for the Dampier Strait/Wayag trip. Not for the Misool one though. Email Grace to confirm. 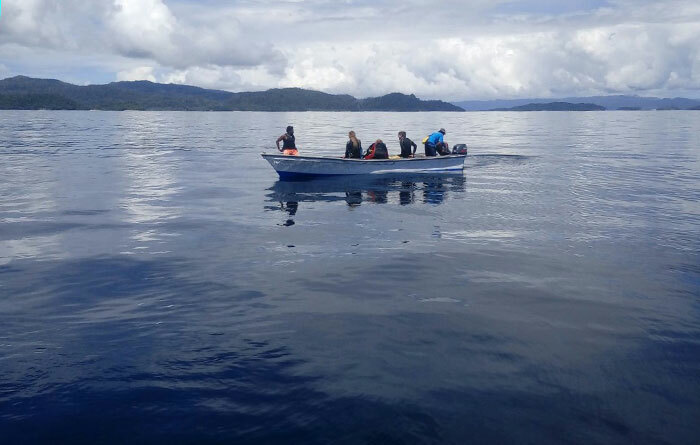 Hello, we are 2 divers and we will arrive at Sorong on september 4th 2016,afternoon. We will leave Raja Ampat on september 14th. 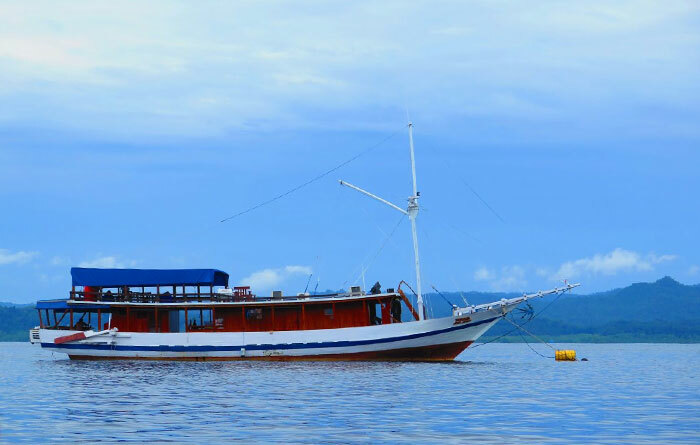 We are interested by live aboard dive on the Insos Raja Ampat. I saw on schedule that our dates are not matching with the 3 trips on september. Are dates trips fixed or can they be changed. We don’t know. You need to email Grace if you have questions that aren’t answered above. hello my name it s max i m from italy i ll in sorong in febrary 2017 round 16 there s noone who want sharing a treep? ?let me to know …..